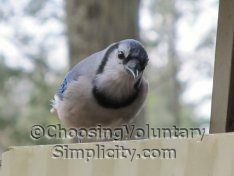 Home » Simple Living / Voluntary Simplicity » What is the Difference Between Simple Living & Voluntary Simplicity? Reader question… “Can you tell me the difference between ‘simple living’ and ‘voluntary simplicity’? I see these terms used all the time and I can’t seem to find a definitive answer about what each one means. Are they just different words for the same idea or do they mean two different things?” –Isobelle T.
I think of simple living as a lifestyle with a deliberate focus on paring away the unnecessary and eliminating excess. Simple living is about learning to do things for yourself and being as self-sufficient as possible. It’s about being frugal (but not stingy) with your resources and your time, taking steps to reduce and hopefully eliminate your debts, and preparing wisely for the future. To me the distinction between simple living and voluntary simplicity is clear. Simple living results in a better LIFE. 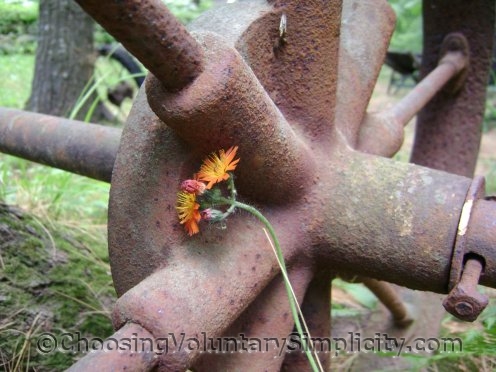 Voluntary simplicity results in a better life… but also a better YOU. Thank-you for answering this question. It makes alot of things about simple living and voluntary simplicity much more clear in my mind. This is a great blog. I appreciate your wisdom and your prespective on these matters. Thanks for sharing! I love this! I often wondered the same thing. I think you covered it beautifully. I find myself always inspired by these posts to live simply and be a better Me. What a wonderful post! I especially love that last line about Voluntary Simplicity making you a better you. I didn’t know what the difference was before but this post really nails it. When I first got interested in voluntary simplicity and simple living I thought it was all about the externals. Things like you mentioned about being frugal and doing as much as you could for yourself. That was all very satisfying but I kept thinking there had to be more. And there was. It was just like what you wrote, it was a change in my way of thinking and in my way of dealing with the rest of the world. I’ve never seen it put better. What I’m trying to say is I have gotten a lot out of the articles here. I want you to know how grateful I am. I wish you were my neighbor. Thank you for bringing more awareness to this concept! I spent a year “living simply” in a community with five other people for a year, each of us volunteers at social service agencies. It was a year of liberation and being conscious about how we lived. Although my lifestyle has changed now ten years later, I continue to valuing life and trying to be mindful in the way I live. Simplicity is a freeing way of life. Very insightful and discerning! Thanks Shirley.